In Keep&Share you can organize your documents into separate folders. This can be useful when you want to share groups of documents pertaining to a specific subject. 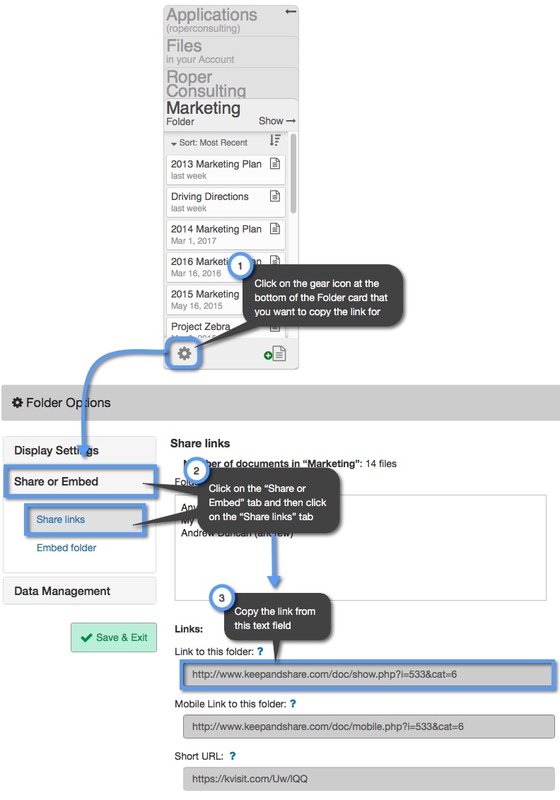 Each individual folder in your account will have its own link that you can copy and share.